Saturday is the best day of the week to travel, year-round. For those planning a Saturday departure, make sure the cheaper fare is not offset by the cost of adding nights to your hotel reservation. If Saturday travel is not an option, the next-best day to travel is on Wednesday. 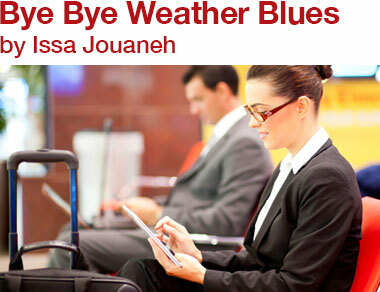 Monday mornings and Thursday afternoons continue to be the most hectic and stressful times to travel. Early morning flights around 5 or 6 a.m. tend to depart on time as the aircraft usually arrives at the airport the night before. Early morning departures allow for greater opportunities to hold meetings throughout the day, thus spending less time traveling during normal business hours. Make sure to register for status updates from your travel-management company or the airline you are flying to receive travel alerts and messages regarding your trip. You'll receive notifications of flight delays, gate changes and alternative travel options should your itinerary be changed, allowing you to increase your productivity and the overall efficiency of your trip. Long security lines can often cause unnecessary stress and added pain points during a business trip. Security programs like Nexus prevent excessive waiting time behind less experienced travelers or large families heading on a vacation. Talk to your travel-management company about strategically selecting flight, hotel and ground transportation options that enable you to maximize the points you can earn while still staying in policy. Make smart booking choices with regards to airline partnerships and loyalty programs to earn the greatest number of frequent flyer points and receive perks such as free luggage and pre-boarding. 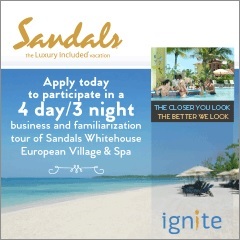 Look for more corporate travel ideas at ignitemag.ca. To share your own best practices with other readers, meet us on facebook, twitter or at IgniteMeetingsConnect. 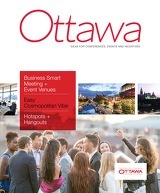 Our Ottawa Tourism Destination Guide is your go-to source for information on its unique venues and spectacular group experiences. Visit our virtual "stockroom" to download your guide for Ottawa and other great destinations including Toronto West, PEI, Montreal, Central Counties, Calgary and the Vancouver Coast & Mountains, full of insider tips to take the guesswork out of planning your next event. Why go: Canada's business travel professionals will be gathering for two days of networking, educational sessions and trade show exhibits. What's in it for you: "Business in Motion" is the theme for this year's Canadian conference. Hudson's Bay Company's Bonnie Brooks opens the keynote. Educational panels include business travel's impact on the Canadian economy, a mock crisis response scenario and end-to-end expense management. Welcome to Ignite's portal for destination programs. St. Catharines is planning three culinary wine tours in April, May and June in the region. Tours will include an overnight stay, spa services, tours of new venues, and of course, wonderful wine and cuisine. Click here for more information and application forms. 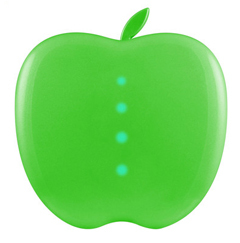 One topic guaranteed to get a planner's back up is the issue of Wi-Fi in hotel and conference venues. Rather than leave all the details to your A/V provider, here's a handy, well-written and easy to comprehend article from Skift (for those of us without a technology degree) on the next generation of Wi-Fi and gives you some insight about how infrastructure is a game-changer for high-speed delivery. The Global Travel Professional (GTP) certification exam is coming to Canada for the first time at the GBTA Conference in Toronto this April. This globally recognized travel certification is designed to raise industry standards, enhance work performance and recognize individuals who demonstrate the core competencies in business travel management. The application deadline for the exam is March 31. The exam will be held on April 20 (before the actual conference starts) at the InterContinental Toronto Centre Hotel from 9:00 am to 12 noon. Content outline, a resource list, FAQs, sample exam questions and a study guide are available from GBTA. Additional registration in addition to the conference is required. The recent awards ceremony of the Association of Destination Management Executives International (ADMEI) saw two companies, well-known to the Canadian industry, walk away with some pretty hardware. Allied PRA won big, with three Excellence Awards: in Incentive Travel Programming or Service; Meeting Services; and Risk & Crisis Management. Bonnie Boyd of BBC Destination Management, a Global DMC Partner, won an Achievement Award for Best Innovative Event for "Fais Do Do on the Bayou." And in another weather-related incident, BBC had to buy every pair of rain boots in the greater New Orleans area (350+ pairs!) to keep their guest's feet dry while enjoying Zydeco music and luscious Louisiana fare on the banks of the bayou. As the events manager at Moneris, you will be responsible for internal and external events for this payment solutions company. 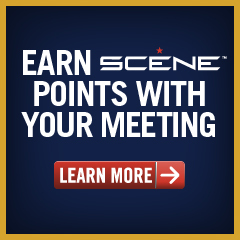 Events can include sponsorship, customer events, trade shows and annual sales conferences. You will support the director with the development of events, project management and work closely with other departments within the organization to integrate events with overall business plans. You will need at least four years of experience in an event-planning role and previous experience in a financial environment is considered an asset. This six-month contract will be to manage the annual partners conference for KPMG. 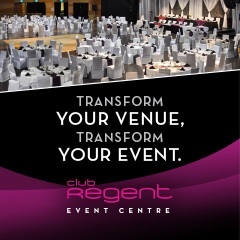 As senior marketing coordinator, you will be responsible for the group venue, hotel A/V, catering, décor and gifts. Collaborating with the event project team and steering committee, you will manage the logistics from conception to final budget reconciliation. You will have over eight years of experience in event planning in a corporate environment and a CMP certification is preferred. A one-year maternity leave coverage is open in Calgary for an event sales coordinator at the Hyatt. This position works with the event sales manager in contract negotiations and servicing events. Good communication skills are a must in facilitating communication before, during and after an event. On site, your primary efforts will be in food and beverage, agenda setting, set-up and hotel meeting services. A hospitality degree or equivalent experience is preferred. You must have catering or event coordinator experience.